Just as rumored, Google's Nexus 5X and 6P come with a unique 12.3 MP camera, to which the manufacturers added laser autofocus technology, like on some LG handsets. Google extolled the virtues of this new sensor, saying it is made by Sony, and the selling point are its huge 1.55 micron pixels, collecting much more light than the previous Nexus gear. This means that in low light situations, the pictures should be exposed better, with less noise, and more definition. In fact, Google's folks said that this imaging sensor was designed for camcorders, and is "unprecedented" in a mobile phone, though it might have been the marketing team speaking. We found a Sony IMX377 1/2.3" sensor that is 12.3 MP with 1.55 micron square pixels, meant for compact cams, which might be the one they were referring to, and are providing its specs in the slideshow below. The camera unit comes with f/2.0 aperture. Thanks to the new sensor, the Nexus 5X and 6P will be able to deliver 4K video recording (of course), as well as slow-motion video capture, it's just that the 5X will do it at 120 frames per second, while the 6P can do 240 fps slow-mo, pretty cool. Along with HDR+ and the new photo album and Camera app shenannigans, the new phones should finally usher the Nexus line at the top of mobile photography. Patiently waiting for camera samples. Yes indeed. I'm not into this Stuart the one eyed minion look, but I suppose I will consider it if the camera can stand up against the Note 5. I really wonder what that means "stand up" and really why this matters so much. It was shown that the Moto X Pure camera "stands up" to the latest galaxies, in terms of the cost. You don't buy a Nexus phone for the camera, though that sure would be helpful to have a good one. If you've already invested in a N5 (which literally just came out) why would you want to change other than just wanting to spend more money? You're asking about why people would care about which one has the best camera? Because they want to take the best pictures and videos possible. That's pretty straightforward. And now a days, it's the largest point of differentiation between flagships. And the Moto x pure is good, a definite improvement over their previous flagships... But it isn't as good as the Note 5. Especially not in low light. Look at Erica Griffin's camera comparison between the Moto X Pure, One Plus Two, and Note 5. It is not even close, in low light at least. But it's not an excuse, Nexus phones shouldn't be expected to have a subpar camera. Especially since they're no longer budget phones and are basically not far off the pricing of LG, Samsung, and Huawei at this point. And at that price they are expected to have cameras that are as good as the LG G4, iPhone 6s, and Note 5. Or at least close. Also, where did he say he had a Note 5? Even if he did, maybe he's like me. I have a business line and a personal line. He might be looking to upgrade one or the other. They got a beast of a sensor. Now its time to prove that Nexus device can have great camera. thats not bad. 1.55micron is a good feat achieved by Nexus. 12.3mp is great bcoz 16mp or 21mp takes ridiculously big size photos and I always have to crop and resize to reduce the size of jpeg file before emailing. Almost everyone is out with their best they could do and its Microsoft's turn to wow us with its new tech in Lumia 950 and 950XL. heck even the old sensor stands up to current flagships, imo that is. Hhhhhuuuuuuuhhhhhhh!!!!!!!!!!!!! 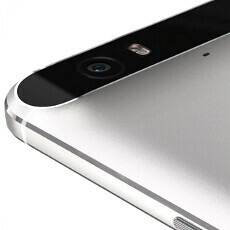 Why is google promoting the Nexus' (a developer edition phone's) camera like other OEMs? Well, maybe because Google wants to sell Nexus phones to everyone? Just a thought. What are the benefits of larger pixels ? Look at the sky in the photo. You will know the difference. I want it compared to Moto X pure edition soon.